Waste Management Corporation (WAMCO) has set their waste collection time from 8 p.m. to 12 a.m. during the month of Ramadan ahead. A statement issued by the WAMCO today said that it is the allocated time for residential waste collection in Male' City and Hulhumale'. 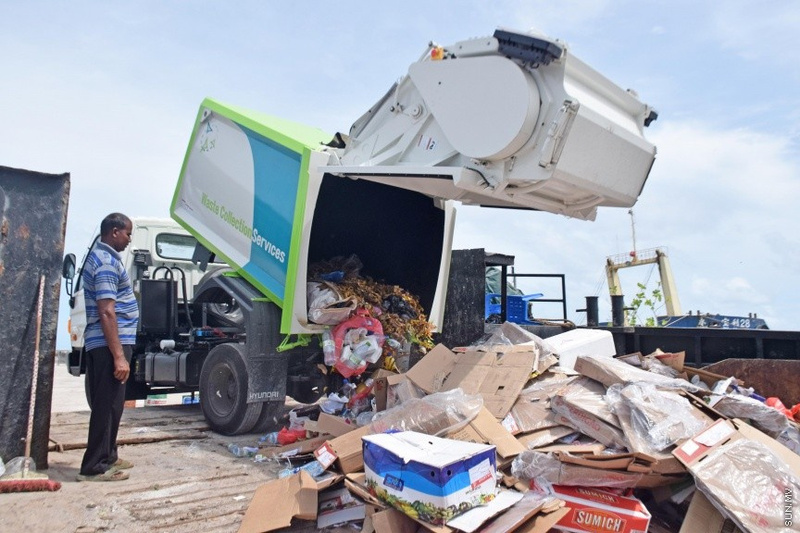 And businesses in Male' City would have their waste collections from 10 a.m. to 3 p.m. and then from 12 a.m. to 3 a.m.
Other islands would have waste collected from businesses from 8 p.m. to 12 a.m.
WAMCO has brought changes to the waste collection times in Addu City and Fuvahmulah City as well. And so waste collection from residential houses and businesses would be from 10 a.m to 3:30 p.m. and from 8 p.m. to 12 a.m. in Addu City. In Fuvahmulah City, waste will be collected from 10 a.m. to 3:30 p.m.